1791 December 5. John Farquhar Trezevant was born in Charleston, S.C., at 5:15 p.m. on Dec. 5, 1791. He was the second of the thirteen children born to Peter Trezevant (1768-1854) and Elizabeth Willoughby Farquhar Trezevant (1772-1845). Their first child, Robert John Trezevant, died in infancy, so John grew up as the eldest of his siblings. 1792 December 14. He was baptized by the Rev. Henry Purcell of St. Michael’s Church, Charleston. 1805 He entered South Carolina College (founded in 1805, later the University of S.C. as of 1906) in Columbia. The city of Columbia had became the new state capitol (after Charleston) in 1786. 1807 John left the College as a junior in the session of 1807-8. He probably was among its first students, matriculating when he was 14 and leaving when he was 16 or 17. 1808 His uncle, Judge Lewis Crouch Trezevant (1770-1808), left money in his will for John’s legal education. Lewis Trezevant had studied law under Gen. Charles Cotesworth Pinckney and been admitted to the bar in Charleston at age twenty in 1791. He was elected Judge in 1799 and served until his death in 1808. 1812 December 28. John F. Trezevant was admitted to the bar in Charleston on at age twenty-one. 1813 May 13. At age twenty-one he married Margaret Pepper Gignilliat (1791-1862) on Thursday evening May, 13, 1813, in Prince William Parish, with the Rev. Mr. McIver officiating. 1814-1820 The couple had six children: Charles Simmons (1814-1870), twins John Edward (1815, died in infancy) and James Peter (1815-1860), Elizabeth Willoughby (1817-1885), Charlotte Gignilliat (1819-1910), and George Warren Cross (1820-1893). James Peter was probably named for his maternal grandfather James Gignilliat and his paternal grandfather Peter Trezevant. George Warren Cross was named for George Warren Cross (1783-1836), who was John’s cousin and law partner. George Warren Cross was the son and only child of Captain William George Cross (1755-1816) and Charlotte Trezevant (1755-1837), Peter Trezevant’s half-sister. Thus, he was Peter’s nephew and John’s first cousin. George Warren Cross studied law under Peter’s brother Lewis C. Trezevant and was admitted to the bar in Charleston in 1807, eventually becoming a member of the South Carolina House of Representatives. 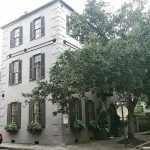 Cross inherited his father’s house at 58 Market St.
James Louis Petigru (1791-1869), a contemporary of John F. Trezevant, was also born in Charleston and shared a Huguenot background. Both young men attended South Carolina College in Columbia at the same time and were both admitted to the bar in Charleston in 1812. Petigru later became Attorney General of South Carolina and would assist John’s father Peter Trezevant in litigation with the state of Georgia involving Robert Farquhar’s estate. 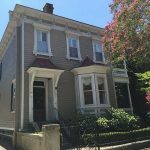 His home was at 131 Broad St.
1821 August 3. At age twenty-nine John Farquhar Trezevant died of “bilious fever” at Coosawhatchie, Jasper County, S.C., leaving a young widow and five children, ranging in age from seven to infancy. Fortunately for his family he had life insurance through the South Carolina Society. Thus, for the remainder of her life Margaret received a regular annuity. 1822 Margaret and the children remained in Charleston for a year. Meanwhile, in 1819 the wife of her youngest brother Henry Gignilliat (1786-1854) died, along with five of their seven children. In 1822 Margaret and her five children went to live with him at plantation Contentment in McIntosh County, Ga. The plantation, purchased after the Revolution, had belonged to their parents, James Gignilliat (1746-1794) and Charlotte Pepper Gignilliat (1748-1803). 1823 John Trezevant’s younger brother, Daniel Heyward Trezevant, M.D., (1796-1862) married Ann Sewell of New York in 1820, and they lived in Columbia, S.C. As of early 1823 the couple had not yet had children, and he offered to his sister-in-law Margaret to take care of her two oldest children, Charles (age 9) and James (age 8). John’s friends Dr. Porcher and Col. Martin persuaded her that they could have a better education in the city than on a plantation. Also living in Columbia at the time was John and Daniel’s sister, Ann Timothy Trezevant (Mrs. Henry Taylor) (1799-1864), and as their aunt she helped with the brothers. Dr. Trezevant and his wife had their first child in late 1823 and their second in 1824. The boys stayed in Columbia until 1824 with their uncle and were then sent to boarding school in Darien, Ga., where they boarded with Margaret’s cousin, Dr. James Pepper. 1823-1826 During these years, while living with her brother Henry at Contentment plantation in McIntosh County, Margaret would spend the winter in Charleston. While Charles and James were in Columbia, she would go there to visit them, staying with Ann Taylor. She would leave Elizabeth and Charlotte with their paternal grandparents, Peter and Elizabeth Trezevant, but she would take George along because he was so young. Because of destruction from the hurricane of 1824 and a failed business deal, Henry Gignilliat lost his plantation and had to move to Glynn County. So, in 1826 Margaret moved with her three youngest children to Darien, Ga., where the oldest boys had been in boarding school. Accompanying her was Barbara Caroline Gignilliat (1809-1836), her niece, the seventeen-year-old daughter of Henry. Now all the children could take advantage of the educational opportunities there, and Margaret could be among many friends and relatives. She rented an eight-room house and lived comfortably with her family and house servants for a number of years. 1826 Elizabeth Farquhar Trezevant (1772-1845) and her husband Peter (1768-1854), the parents of their deceased son John Farquhar Trezevant, inherited a fortune at the death of her uncle John Farquhar in London. Peter and Elizabeth Trezevant immediately moved to London themselves. They were Margaret Trezevant’s parents-in-law. From England the couple continuously sent gifts and money to their married children in the States, including their widowed daughter-in-law Margaret and her children. Each of Margaret’s five children received $7,000. With that money Margaret could send her children to school (the Academy in Darien) and (in James’s case) to prep school and South Carolina College in Columbia. Margaret and her other children remained in Darien. 1827 Starting about 1826 the Academy in Darien would move for the summer months to the Ridge, a summer resort area several miles from town. Margaret did not want to spend summers in Darien. 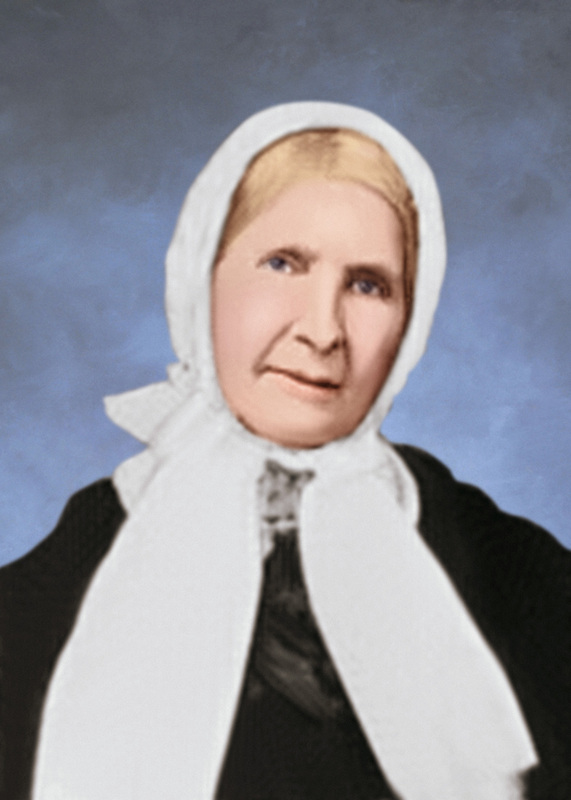 In 1827, with the additional money that her father-in-law Peter sent from England, Margaret could rent a house at the Ridge so all five children could go to school year-round. She continued the pattern of living in Darien in the winters and at the Ridge in summers for a number of years. 1845 At age fifty-four Margaret bought a comfortable house for herself and her daughter Elizabeth in Darien. According to her daughter Charlotte’s memoirs, the house had “two stories, piazzas above and below in front, four rooms on each floor with passageway between. My sister soon got up a pretty flower garden and a conservatory off from the front piazza, which she kept filled with beautiful flowers.” Eight years later in 1853 Margaret bought a second house for herself and Elizabeth on the Ridge outside of town. Thus, Margaret and many in her family were in the Darien area when South Carolina voted to secede from the Union Dec. 2, 1860, and the Civil War began on Apr. 12, 1861, at Fort Sumter in Charleston. At the time Margaret was seventy years old. 1861 Margaret’s daughter Charlotte and son-in-law Norman Page Gignilliat also owned a home in Darien so that their own children could go to school there. [Charlotte Gignilliat Trezevant had married her first cousin Norman Page Gignilliat (1809-1871) in 1838.] But in 1861 they moved back to their plantation Windy Hill. For the safety of the children the couple sent their four oldest daughters to board with a cousin in Aiken, S.C. By 1862, because of the War, conditions near the coast became unsafe. In April Charlotte moved her family to Perry in Houston County, south of Macon. At the same time Margaret also decided to leave Darien with her unmarried daughter Elizabeth and Elizabeth’s distant cousin Nina Frost to join the family in Perry. (Nina was a grandniece of one of Charlotte’s grandmothers and had joined Margaret and Elizabeth because of the War.). Margaret bought a house in Perry for the three women. An invalid, Nina Frost’s poor health had also motivated them to move from Darien. In a bold move Margaret traveled alone to Aiken, S.C. to retrieve the Gignilliat daughters. 1862 October 13. The following fall Margaret Pepper Gignilliat Trezevant died at age seventy-two in Perry from typhoid fever. At her request she was buried in Rose Hill Cemetery in Macon. She did not live to hear about the terrible effects of the War on Darien. 1866 After the War, Charlotte and Norman Page Gignilliat decided to move to Marietta, Georgia. They bought a large home that was next door to St. James Episcopal Church. Built in 1846, the home had been used as a hospital during the War and was in need of repair. The couple lived in the house until their deaths. Their daughter Margaret Helen Gignilliat (1847-1920) had married James Edward Holmes Jr. (1840-1890), and the couple inherited the house. A subsequent owner razed the home, and it was replace by a lumber yard. At the same time, Charlotte’s sister Elizabeth bought (or possibly rented) another house in Marietta, this one now numbered 500 Powder Springs Rd. The Greek-revival style home had been built in 1851 by Colonel Arnoldus V. Brumby, the first superintendent of the nearby Georgia Military Institute. 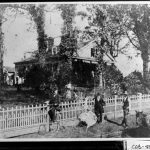 During the War, when Gen. Sherman occupied the area in 1864, the house was used as a hospital. Sherman had the Institute itself burned but spared the home because he and Brumby had been friends at West Point. Either Elizabeth or Brumby eventually sold the house to Ellan M. Bradley. 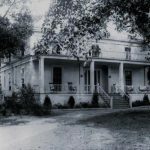 In 1926 the house was purchased by William Howell Trezevant Jr. (1879-1958), who married Matilda Katherine Shelton (1887-1974). Howell Trezevant was Elizabeth Trezevant’s first cousin once removed. He and his wife did major renovation and restoration on the house. It then passed to their daughter Matilda (“Tillie”) Katherine Trezevant (1915-2007), who married Walter Peacock Moore (1913-1960). She later married Rosser N. LIttle and then Frank C. Owenby. She lived in the house for many years before selling it to the city of Marietta, which still owns it. The Brumby House is now a house museum and special events facility for the Hilton Atlanta/Marietta Hotel and Conference Center. Gignilliat, Charlotte Trezevant. Memoirs of Charlotte Tresvant Gignilliat: “War of the States,” Written 1905,1906. Edited by R. Read Gignilliat and Robert D. Gignilliat IV. Gignilliat Family Papers (1831-1867, 1910), Library of the University of North Carolina, Chapel Hill, NC. Gignilliat, Charlotte Trezevant. Sketch of the Life of Mrs. Charlotte Trezevant Gignilliat, 1819-1910: Written by Herself at the Request of Her Children and Grandchildren. Edited by R. Read Gignilliat and Robert D. Gignilliat IV. Gignilliat Family Papers (1831-1867, 1910), Library of the University of North Carolina, Chapel Hill, NC. Holmes, Margaret Gignilliat. Family Stories and Reminiscences of Ante Bellum Days Told by Margaret Gignilliat Holmes (1847-1920). Edited by R. Read Gignilliat and Robert D. Gignilliat IV. Gignilliat Family Papers (1831-1867, 1910), Library of the University of North Carolina, Chapel Hill, NC. “K. Brumby Hall and Gardens.” Promotional flyer for the museum. Kenan, Robert Gignilliat. History of the Gignilliat Family of Switzerland and South Carolina. Easley, SC: Southern Historical Press, 1977: p. 267. Lavelle, Brittany. Email correspondence with the author, September 22, 2011—Present. Owenby, Matilda (“Tillie”) Trezevant. Obituary, May 2007. Trezevant, John Timothee. The Trezevant Family in the United States. Charleston, SC: The State Company, 1914: pp. 22, 24, 27.